The K-600 has some great features including base and tenor agraffes. It is 4cm taller than the K-500 giving it a larger soundboard and longer strings. I’m really enjoying the obvious progression between models in the Kawai range. As you move up through the range, it is easy to recognise the improvement from one model to the next. While the overall Kawai sound is obvious, the depth of tone and responsiveness improves with each model. 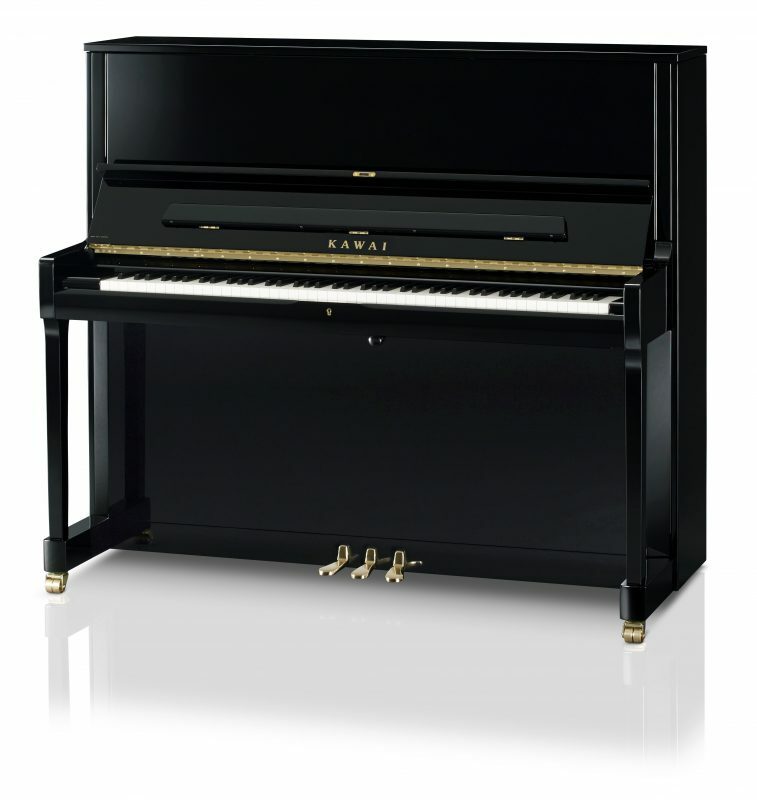 The K-600 is internally the same as the K-800, except that the K-800 has sostenuto and some cabinet styling differences. The K-600 is in the slimline Euro cabinet. This is a superb value-for-money instrument, giving a lot of European pianos a real run for their money. 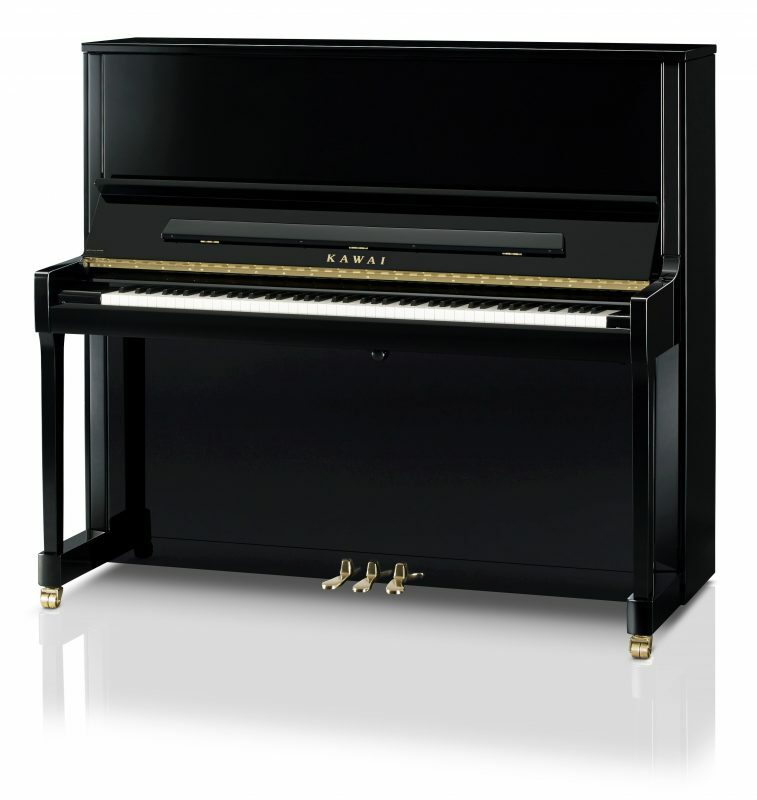 This piano is a direct competitor to the Yamaha YUS-1, but is a full 9cm taller, providing a depth of tone beyond what any 121cm piano can produce. It even gives the YUS-3 a run for its money, and is much better value. The bigger soundboard, longer strings, and improved stringing scale bring a very rich tone palette for the pianist to explore. A superb teaching instrument, also well suited to high-level students. When I gave this piano it’s first set-up, I spent an extra hour just playing and enjoying this instrument….. most seductive. Sophisticated big brother to the K-300, which internally are identical. As with the K-300, this is where Kawai’s upright range becomes serious. Both are designed for institutional, teaching or practice-room use, and will satisfy the most ardent student at all but the highest levels. A popular instrument for piano teachers, and becoming a favourite in conservatorium practice studios. The K-400 has a more up-market case. This piano will make a statement in any living room. The K-300 has really come into its own. With this new model comes scaling refinements that improve tonal balance and response and even better tuning stability. Incorporating the Millennium action, the touch response is even, subtle and refined. 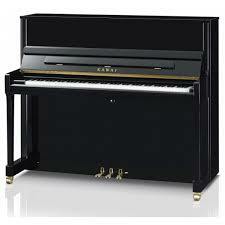 As a result the K-300 is becoming the piano of choice for many music institutions. This piano is finished in an attractive Mahogany Polish. Is also available in an Ebony Polish at $8,795. A great investment for a beginner, to well advanced student. Would be a fitting addition to any teaching studio, capable of handling high work loads. 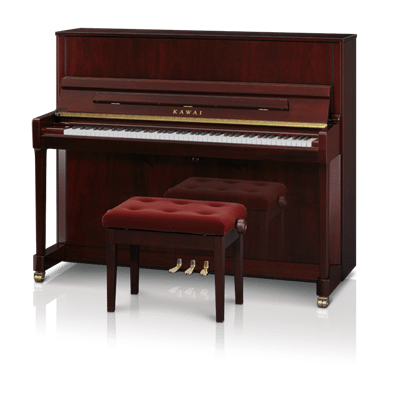 The K-300I is built in Kawai’s Indonesian plant and sports all of the attention to detail and quality that the Japanese-built pianos do, at a great price. This piano has brass trimmings and comes with the Milenium III carbon-fibre / composite action mechanism. This particular piano has a lovely balance in tone between warm and silky, but with just enough edge to enhance definition. Are we excited about this piano? Definitely! This is Kawai’s response to the Japanese “grey-market” second-hand pianos. Built in Kawai’s Indonesian plant, where every quality detail remains, but every other possibility to reduce the cost has been explored. I can’t believe how good the sound and feel of this piano is, especially at this price. Why would you risk an uncertain life-span with a second hand piano, with a dubious provenance, when you can have a full twelve year factory warranty and know that this piano is going to go its full life for the same cost. The only compromise we have had to make is that at this price, we can’t include delivery.